Capitalizing on the ability of our well-trained workforce, we are readily engaged in providing world-class Cable Tray Powder Coating Service.We believe in offering precise solution of client’s needs and assist them accordingly. In order to attain maximum satisfaction of our clients, we are indulged in providing Cable Tray Powder Coating services in Greater Noida. The provided service enhances the durability of the cable trays. This Cable Tray Powder Coating makes the cable trays corrosion resistance thus increasing its service life. We are Service Provider of Powder Coating Services. We offer Powder Coating Service for Cable Trays. 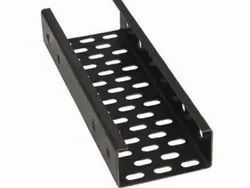 Cable Trays is used for running multiple open cable connecting equipment racks in same & adjoining rooms. These services are provided by some skilled professionals make apt use of coating material and latest technology. In order to attain maximum satisfaction of our clients we are indulged in providing Cable Tray Powder Coating. 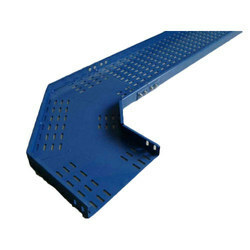 The provided service enhances the durability of the cable trays. This Cable Tray Powder Coating makes the cable trays corrosion resistance thus increasing its service life. We have the expertise in rendering a variety of Powder Coating services for Cable Tray to our reputed clients. These services are offered with great precision by our team, which applies the free-flowing dry powder smoothly on the metal surface.